In part 1 of the article we discussed the position of you as the teacher and also the possible advantages that being a class teacher in Primary school gives you. I have to say that bullying at Secondary school is a completely different scenario, in so far as the organisation of the school, the contact time of the staff and the ages of the pupils – and as such requires handling in a different way. 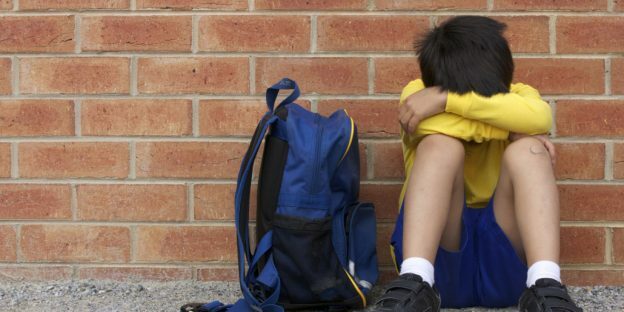 That does not mean that the effects of bullying at Primary school level are not just as potentially devastating as occurrences at Secondary…the approach is just different. Having spotted a problem and followed this up with some detective work you now have to piece together what and where the cause is originating. If, from your findings it is a bullying issue then you MUST take action. The following are suggested steps that you might take. Speak confidentially to friends of the child concerned to clarify if there is an issue and also who is involved. If other children are involved from different classes then speak with colleagues about this and work out the best combined approach. Having determined the source of the problem it is now time to talk to the (bullied) child or children themselves. When you get to this point I would advise caution in your approach. Remember that the child is at a very low point and is feeling vulnerable and most probably alone in this situation. However, it is better to try to encourage the child to express and open up about the situation themselves rather than you charge in with a bullying focus. Tell the child that they don’t seem to be enjoying school as much as usual – they don’t seem to be very happy at the moment and ask if there are any problems that might be causing it? Now this may or may not produce a result at this point, but you have to be careful not too pressurise on this as it is counter productive. But reassurance from you, as the teacher, and concern for the child’s unhappiness does let the pupil know that someone is there and on his / her side. If the response is not forthcoming then it is better at this stage to reiterate your support and assure them that you are here if they wish to talk….and for a short time go back to monitoring (perhaps 2 or 3 days). 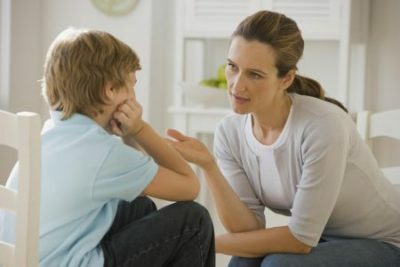 If there is no improvement in the situation you need to talk to the child again – however if you observe any bullying incidents then this talk needs to be immediate…it may be that one of the child’s friends comes with them to talk to you. At this point the talk centres around the fact that you have heard / seen bullying incidents (a fact that a friend will also confirm). You are now drawing on your position as “trusted person” and will be assuring the child that… 1. They can tell you what is happening 2. You will sort it out and they can rely on you. This second point is very important because the child needs to be confident that you will actually sort this out or they will not wish to speak out for fear of the bullying getting worse! Let me be quite straight here and say the best approach is to tackle this HEAD ON. I never mess about when it comes to bullying and I let it be known! The first step is to speak to the person / people concerned – inform them that you know about the bullying and what has been happening. You may or may not give them an opportunity to say why this is happening – it really is up to you. But let’s be honest (in my class) this is not a discussion opportunity! Make it crystal clear that this is NOT going to continue and that you are now on the side of / siding with…..and if they continue then they will be meeting you again very soon! It’s up to you how you phrase this- but your reaction to this needs to be very strong and clear. If the children concerned are in your class they will know INSTANTLY from your tone and approach that you MEAN BUSINESS…and you do! To further emphasise the point you can now outline any consequences that may occur if things continue. These would include keeping children in at playtimes and lunchtimes, informing the HT and informing parents. Basically what you are saying to the perpetrators that this is NOT going to go away unless the bullying stops…it is their choice of how this pans out but it will only get worse for them if it doesn’t. Faced with this sort of firm response then most children will quickly realise that it is in their best interests to end their behaviour. It may have taken a few missed breaks or a word from the HT but the strength of the response (and of course the schools approach to this generally) will bring home the seriousness of the situation. You may not have seen an improvement in the behaviour of the bullying individuals – and as such the 1st action could prevent them from being in the position to carry out the bullying i.e removal from break and possibly lunchtimes. Continue to reinforce the reasons for this to the child / children concerned and explain that this is a result of their continued action. This can be done as long as necessary but don’t expect immediate results for certain individuals. If removal sanctions are not needed then there is still a monitoring and link phase that you need to be involved with. Obviously it is easier if it has involved children in your class, but I would advise a few follow up visits to the playground just to confirm that all is ok and of course checking with the child who has been bullied and his / her friends that everything has now stopped. I would also consider raising this as a class lesson – mentioning “an incident of bullying” that has happened in class and having a whole class discussion / lesson on all aspects. Within this you can reinforce that as a school we don’t tolerate this and certainly you as the teacher are not going to allow this to happen. Naturally you will be reassuring and supportive at the same time and inform your class that you are always here for any problems they may have. The lesson needs to be a generalised / anonymous in remit. Bullying can take many forms and it has not been the purpose of this article to look at any of those in detail. There are many websites and organisations that can offer good, clear and practical advice across the whole divergence of bullying and your school needs to have a clear and transparent approach that is understood by children, parents and of course all staff. This should not only appear on the school website but also as a key inclusion in the school prospectus. The one key element in any incidence of bullying is that is needs tackling and in fact dealing with as a matter of urgency – with a strong response that not only eliminates the bullying but also is fully supportive to the child who is the victim. 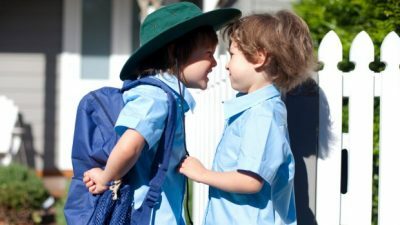 As Primary school teachers we are in a unique position to quickly identify visible characteristics that may indicate bullying of a child or children. This means that we should and need to respond with equivalent speed and action. No child should experience the misery and trauma of being bullied and it is an important part of our duty of care to identify and eliminate it when it rears it head.